It’s too early to call it a tradition. 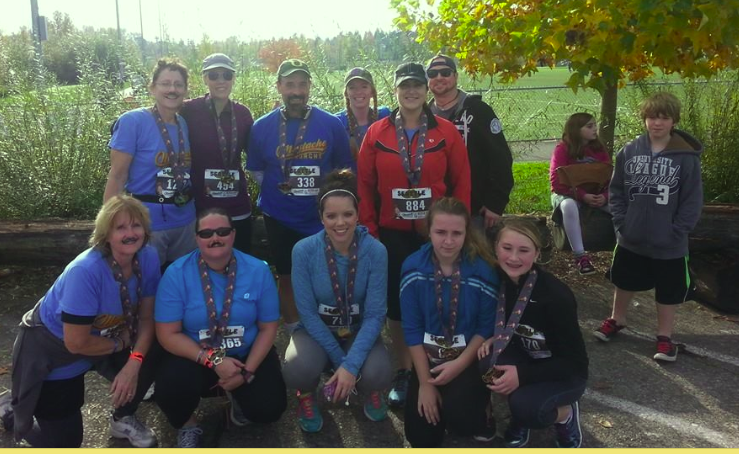 But, for the second year in a row, five former Zones colleagues and I competed together last Saturday (Nov. 8) in the Mustache Dache 5K. A year ago, some of us were still working at Zones. Now, the six of us are all elsewhere. So it was fun to reunite. The Mustache Dache at Seattle’s Magnuson Park is, surprisingly, one of the easier road runs to meet a friend. More than 1,300 runners participate — and many bring non-participating family members and friends. But there aren’t wall-to-wall people on your way to the starting line, and there are landmarks you can designate to meet at. These include as the registration area inside a large building near the start of the race, the staging area just outside that building, or the beer garden afterwards. At any rate, I actually ran into to the people I was looking for before the race — I finally got to a road run early! — so we were together in the starting line. That made it easier to arrange to meet afterwards for pictures. 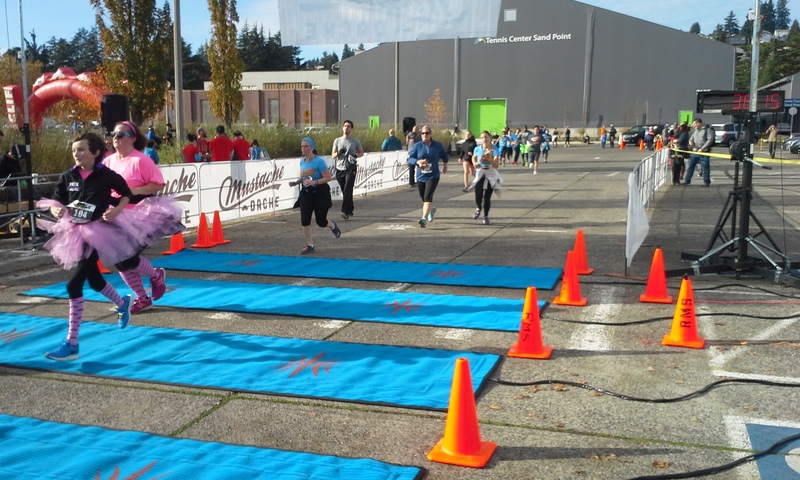 Good luck in trying to do this at the Seattle Half-Marathon or the St. Patrick’s Day Dash. It was great to see Amy Ala, Jaime Massie, Jennifer Winchester, Karly Simmons and Tyra Nelson, all of whom worked with me at some point in my two years (2012-2014) at Zones. All worked in recruiting or human resources, and all have successfully moved on to other companies. And all of us did this same race in 2013. And, for the second year in a row, we had dry, somewhat sunny weather — another plus! A great time — and great times! 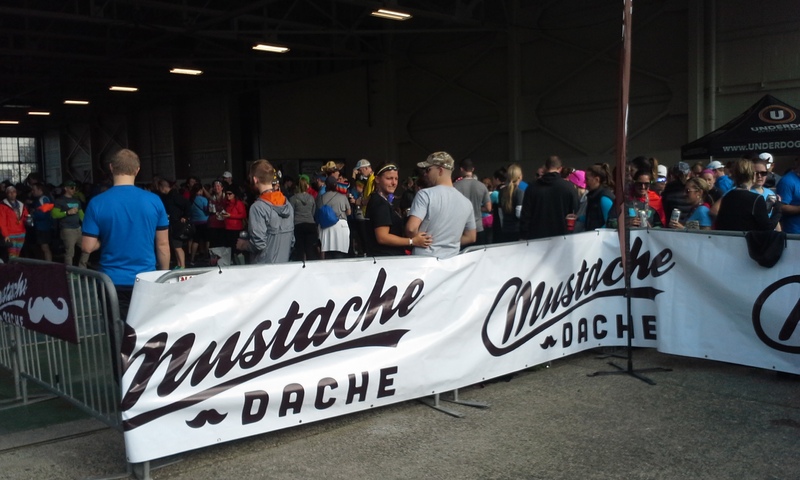 The Mustache Dache is a nationwide series of mustache-themed runs taking place during the month of November. 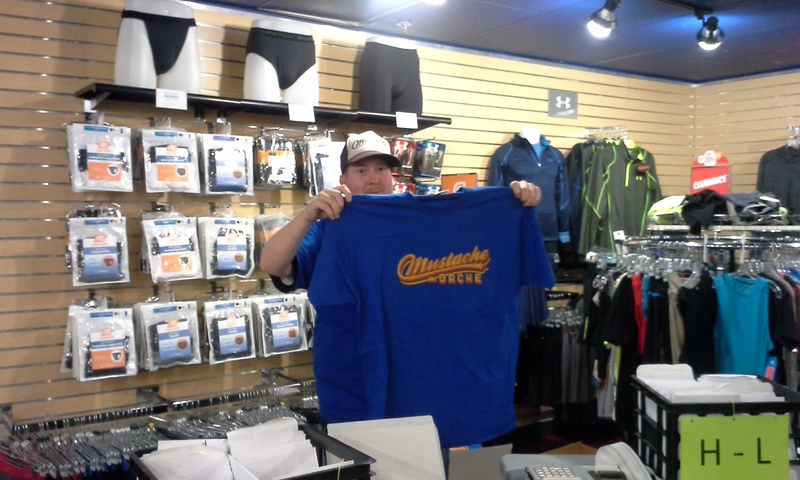 The national series helps Movember, the global men’s health charity, combat prostate and testicular cancer. Good to know these lady friends of mine all support men’s health! Did I tell you I like doing runs at Magnuson Park? The Resolution Run, a 5K held there every New Year’s Day, is also one of my favorite races. 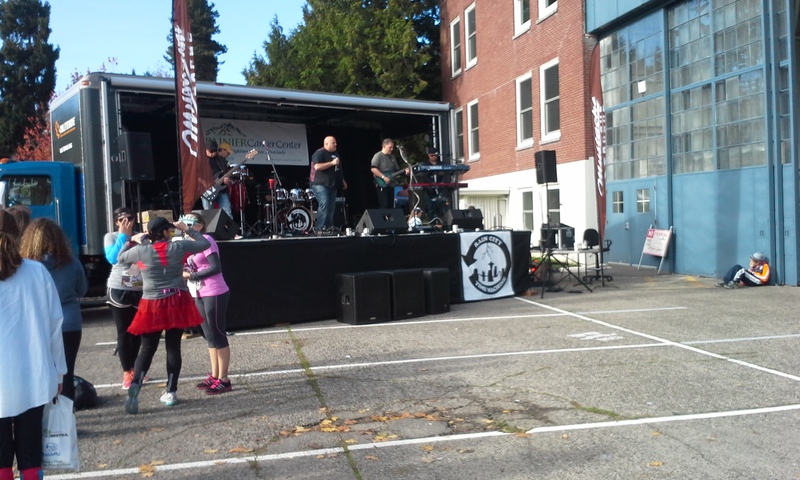 Besides being able to run into friends at Magnuson Park events, I also get some of my best times. The varying event courses are always flat and mostly paved, although they can be narrow and crowded in spots. Also, you’re very likely to find yourself next to runners with small dogs you must be careful to avoid stepping on. I was indeed happy to get the time I did Saturday because I am running only once a week these days (walking, bicycling or doing the elliptical on the other days) to preserve my ankle. Perhaps I am running faster now because I’ve lost more than 10 pounds from a year ago (although I could find those real easily). One more thing about the event: You rarely see medals given out at 5K races. But the gold Mustache Dache medals were very cool, and doubled as bottle openers! What’s next? Seattle Half-Marathon Nov. 30. I will be semi-trained for a half. Hoping for a dry day that is not icy cold. Thanks for reading! Till next time. This entry was posted in 5K, Bicycling, Resolution Run 5K, Running, Seattle Marathon, St. Patrick's Day Dash, Walking and tagged 5K, ankle surgery, Bicycling, elliptical machine, Half-Marathons, left ankle, Magnuson Park, Mustache Dache, Running, Seattle Marathon, St. Patrick's Day Dash, Walking, Zones. Bookmark the permalink.